Ask most people what's the most important aspect of a TV programme or film and they're likely to say the picture but ask someone to watch anything with poor sound and they're probably going to turn it off quicker than anything with poor picture quality. Sound then is a vital component of any production and requires just as much attention as the visuals. 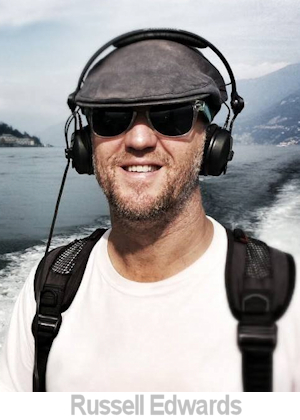 Sound is so important that whole careers are dedicated to capturing the noise. 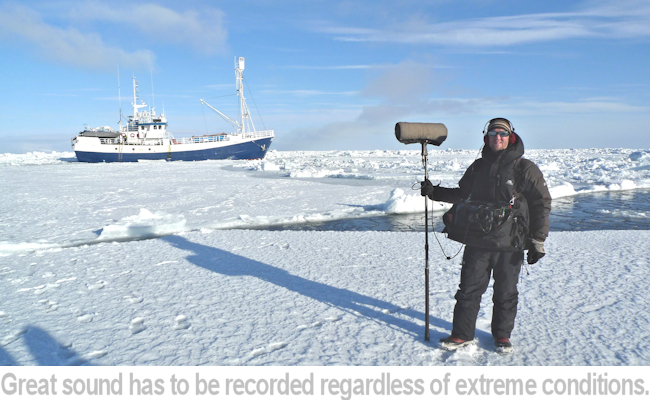 BAFTA-nominated Sound Recordist and Mixer Russell Edwards is one such professional and in our interveiw Russell tells us about his career working with the microphone on such TV programmes as Catastrophe and films like Spectre and Jason Bourne. How did you get in to sound? When I went to film school , as I was always interested in documentaries and films, I got chatting to another chap there and we both realised we had a passion for sound, and we were the only guys it seemed in the year that had this passion, so we got asked to work on every project that was going. Did you have a formal education in sound or media? I went to Surrey Institute of Art and Design in Farnham in the UK, it was a BA film and video course, and I specialised in sound, the school equipment was shoddy to say the least but we learned how to fix it, and adapt and borrow and hire in, it was a good course and I graduated with a BA. How did you get your career break? When I was still at film school, I wrote some letters to some prominent sound mixers of the time, and lo and behold I got a reply from Simon Kaye, 2 times Oscar-winning production sound mixer, o I started a 6 week job with him from film school, and I must confess I have not stopped working since. What does a sound mixer do? I think that a sound mixer/recordists job is to try their very best to obtain sensible audible sound from whatever situation is in front of them to the best of their ability using their experience, common sense, modern equipment and a bit of luck. It’s tricky out there, as they say. You work on documentaries, dramas, light entertainment and films. Do you take a different approach to your work depending on the production? Each genre requires a different approach but the same core principles, try and get the best quality of sound without upsetting everyone, (as they won’t employ you again). You’ve worked in some extreme locations, including deserts, beaches and pack ice. What are the challenges of capturing sound in these places? Each environment is a massive challenge, and it’s always the little things that catch you out, deserts it’s the wind and physical ability to walk around, beaches it’s the wind and the noise of the waves that will upset your sound continuity and at minus temperatures your equipment has to be in tip-top shape before you approach it. How is your work affected by the development of sound technology? I am amazed and in awe of the technical engineers who every year make our job not just easier but more adventurous with the massive leaps in technology. You can be your own boss, but you are master to the freelance god, who will always whisper in your ear to never turn down work. Is there a downside to being a self-employed sound mixer? You can worry sometimes if you are going to get another job, but be confident, create your own luck and be nice. The lows are recording in bad weather when production or a director has not given you enough time to prepare and the highs are the smiles on people’s faces when you have produced a good job for them. In sound, always carry spares. In life, create your own luck. Do you have any advice for anyone wanting a career in sound? Email me and I will try and guide you.